I am a geography professor, and that means more than placing countries on a world map. I study changes in climate, fire, vegetation and beetle outbreaks over time. Climate variability is part of life on Earth, and my work looks at climate change over thousands of years to provide context for what is happening now and in the future. There is no question that carbon dioxide concentrations are increasing, as are global temperatures. When I started studying climate change in 1995, average annual carbon dioxide concentrations in the atmosphere were 360.8 parts per million. When I taught my first global climate change class in 2000, it had increased to 369.5, and last May it hit 400 parts per million. The last time carbon dioxide concentrations were this high was millions of years ago when sea levels were up to 30 feet higher, trees were growing in the arctic and modern humans weren&apos;t even on the scene. The science is clear: When concentrations of carbon dioxide increase in the atmosphere, more heat is retained and global temperatures rise. Therefore, it should be no surprise that in 2013 the global annual temperature was nearly two degrees Fahrenheit warmer than the 20th century average. While we understand that burning "fossil fuels" such as oil and gas is the cause of this increase in carbon dioxide, changing our habits to reduce emissions is daunting. As with many problems, there is no single solution that can easily solve the problem. However, our carbon problem could be addressed by making many smaller adjustments and using technologies we already have available, such as driving less, using more-fuel-efficient cars and switching to renewable energy, such as wind or solar. Solar energy provides a particularly cost-effective, high-impact option for alternative energy here in Utah. However, the prospect of doing research on the best panels and installers and system size can be intimidating, even for a scientist. When I found out about the University of Utah Community Solar program, I decided to put my planned summer projects on hold to take advantage of the discounted offer. Having lectured on climate change for nearly 20 years, I am grateful to put my money where my mouth is and do something significant about my carbon footprint. Through the U. Community Solar Program, I have just installed 3.24 kilowatts on my home in Salt Lake City. The full cost was $11,314, but after the federal and state rebates, the system will cost only $5,920. I expect to save at least $18,000 and close to 200,000 pounds of carbon dioxide over the life of the system. Rocky Mountain Power is currently trying to add a $4.65 monthly solar fee to compensate for costs associated with infrastructure. While I chose to install solar on my home knowing this was a possibility, it seems unfair to those of us using less power and investing in cleaner technology. However, it is still the perfect time to go solar because even if the fee is imposed, it only takes away about 10 percent of my cost savings. I might not be able to place every country on the map, but if we don&apos;t do something about global warming, it won&apos;t matter because our geography is changing. We are already losing entire island nations to sea level rise, and soon our coastlines won&apos;t look the way they did in our own high school geography books. We all need to take steps to reduce our personal carbon footprint and support large-scale infrastructure changes throughout our communities. Thank you to the University of Utah for providing opportunity and leadership on this critical issue. And to learn more about the program and whether your home qualifies, visit MyCommunitySolar.org/UCommunitySolar. 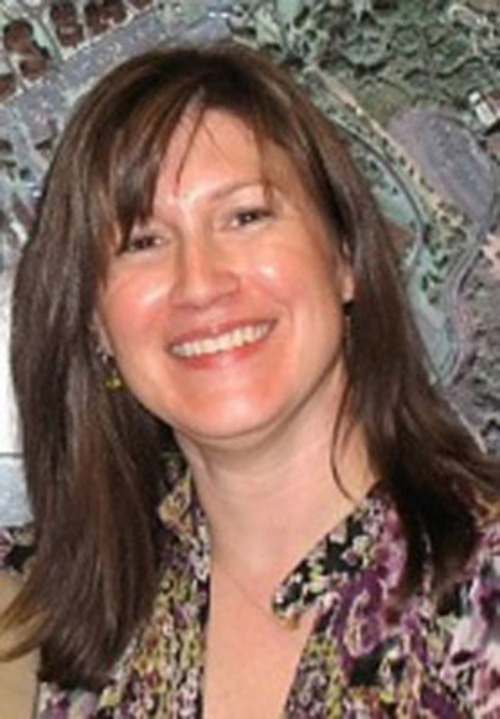 Andrea Brunelle is the chair for the geography department at the University of Utah.